The Asia Playstation Store is having a sale for some of their PS4 games, with Multiplayer features, from 24 Sep to 30 Sep.
Oh yea, come join me in Evolve and AC Unity! 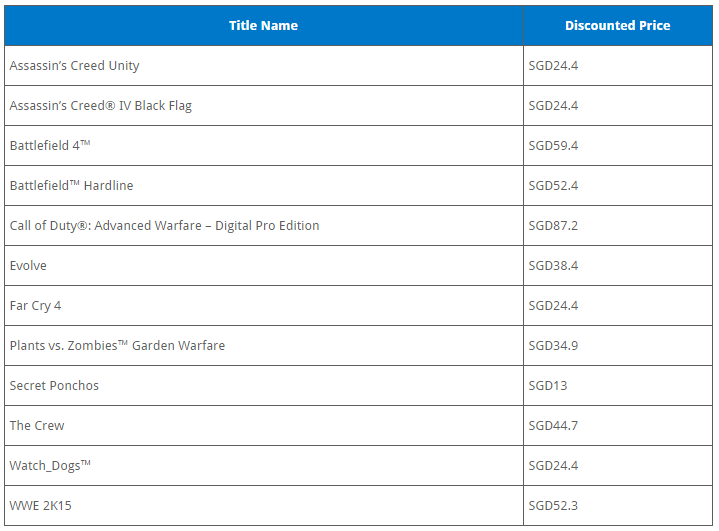 Still have Far Cry 4 and Watch_Dogs in my backlog, so I might want to play those as well. 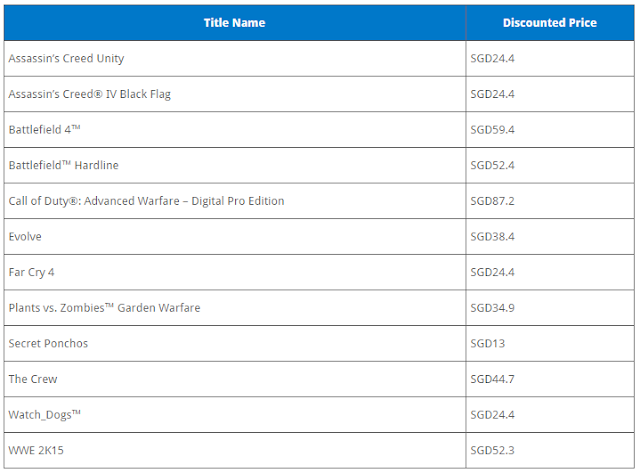 PS Plus subscribers get an additional 10% off those prices, so definitely a good time to get these if you haven't!